Luxury Gift Boutique ‘Cocoàge’ to Enter Canada with Multiple Locations: Unique luxury gift boutique concept Cocoàge plans to open between three and five boutiques in Canada, and it’s partnered with brokerage Think Retail for the expansion. Cocoàge is a very unique concept that is sure to be a hit amongst affluent gift-givers. The company retails preserved flowers in luxurious paper boxes as well as clear acrylic square boxes, which are ideal for displaying. Flowers are packed ‘by the dozen’ with selections ranging from 12 to 48 — prices for a dried bouquet range between $200 and $500. The preserved flowers can be paired with Cocoàge’s exclusive collection of exquisite products including gold-infused Belgian milk chocolate bars, toffees, truffles, chocolate covered nuts, gourmet popcorn, and more. Designs for the store interiors reflect warmth, with colours and lighting to set a calm, romantic mood. Shoppers will be greeted by concierge-style staff, sat in comfortable armchairs and be presented flowers, treats, gift options, and offered taste tests. With the initial focus being Toronto, ideal spaces are in the 700 to 1,000-square-foot range in super regional shopping centres. Interested landlords may contact broker Tony Flanz at Think Retail. Sugarfina Sweetens Up on Oakridge Centre for 2nd Canadian Store: Think Retail's Tony Flanz has been busy in Vancouver - Los Angeles-based luxury ‘grownup’ candy retailer Sugarfina, which opened its first Canadian store at Metropolis at Metrotown east of Vancouver in November of 2017, will open its second Lower Mainland boutique at Oakridge Centre in the spring. The 450-square-foot boutique will be located next to Swarovski and across from the mall's Aritzia and Gap stores, near the mall's food court. Oakridge Centre, which is Canada's second-most productive mall in terms of sales per-square-foot, is about to undergo a spectacular overhaul that will see it become the heart of a new mixed-use community in Vancouver, unlike anything seen in Canada to date. Sugarfina confirms that the company intends on operating standalone stores in Vancouver as well as in the Toronto market, with as many as 10 locations in Canada in the coming years. According to Think Retail’s website, Sugarfina is seeking retail space in major malls, ideally in the 600-square-foot to 1,000-square -foot range. Sugarfina stores feature premium items made from high-quality ingredients, sourced directly from artisan candy makers around the globe. Products include gourmet chocolates, caramels, gummies, malt balls, licorice and other delicious confections. Champagne-infused gummies and maple bourbon caramels have been popular, with celebrity endorsements helping grow brand awareness. The Sugarfina concept has grown rapidly, now boasting over 30 boutiques in the United States with three of those being located in Nordstrom stores. Miele Announces New Flagship in Yorkdale: Miele has announced that it will open a new flagship in the Yorkdale Shopping Centre in Toronto. Slated to open in summer 2018, the 2,200-square-foot location will be the first for the brand in a highly frequented premium shopping mall which attracts 18 million visitors per year. Besides having their headquarters in Vaughn, Ontario, since 1989, this new endeavour also demonstrates the commitment of Miele to the Canadian market where demand for its world-leading, premium appliances continues to grow. Since 2004, the brand has opened four Miele Experience Centers – located in Calgary, Montreal, Toronto, and Vancouver. The new Yorkdale location will reinforce the Miele brand image characterized by quality, design, innovation and sustainability. Yorkdale Shopping Centre is Canada's leading shopping destination and most successful shopping centre with a diverse mix of more than 270 shops and services. With ticket prices ranging from $50 for a Professional Day pass to $1,000 Tea Pavilion experience, visitors to LHDS will be able to shop the latest in luxury and elegance through artwork, home décor, and other bespoke items. 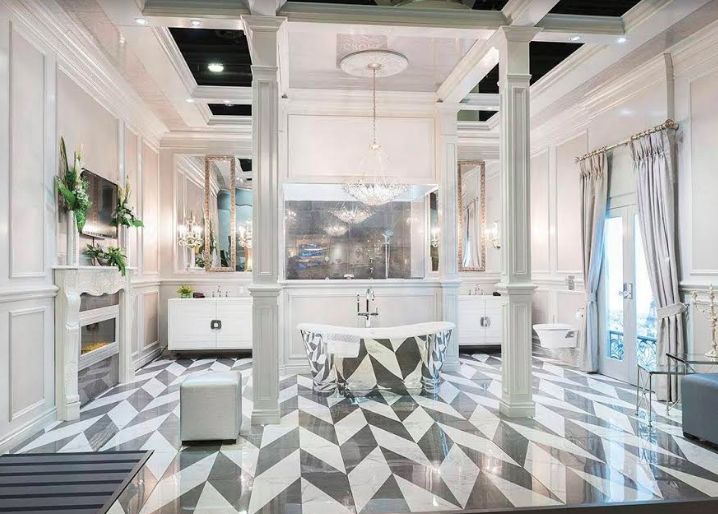 This edition will showcase many international designers, artisans and exhibitors plus many locally available luxury lifestyle brands such as Bentley Home, Fendi Casa, Versace Home, Paramount Home & Design, Roche Bobois, and M. Zanatta Homes & Design. The founder of the LHDS and Editor-in-Chief of Taste of Life magazine, Wendy Guo, has put together a luxury home event which has gathered unique and artisanal crafted items from the far corners of the globe that will be available for sale, and showcases the latest in technology and innovations, trends in luxury home and design, and sustainable and healthy living. Charitable partners – Arts Umbrella and BC Cancer Foundation – will benefit from the Opening Night Debut & Charity Fundraiser sponsored by the Italian Chamber of Commerce. Fairfax Could Acquire Toys R Us Canada: The Globe & Mail [paywall] reports that Fairfax Financial Holdings Ltd. has entered into a confidentiality agreement with the Canadian unit of Toys R Us Inc. which could result in a $300 million deal that would allow Toys R Us to separate from its US-based parent and exit bankruptcy protection. The Globe & Mail also reports that other interested investors will have until Monday to bid on the Canadian arm of Toys R Us, which has 82 stores, 22 of which are owned and are appraised at about $220 million. 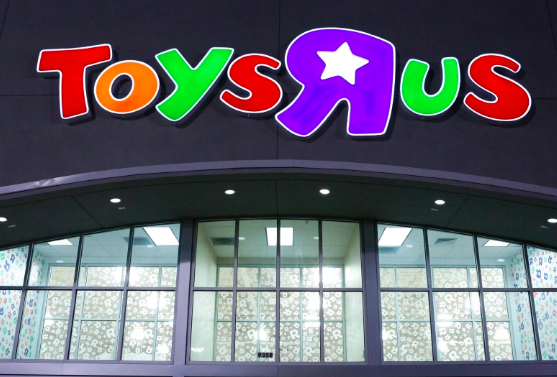 Toys R Us Canada is said to be profitable, representing about 7% of the company’s worldwide sales and operating relatively independently with its own purchasing systems and merchandising. There’s more to come with this story, so stay tuned. The original Globe & Mail article that we are referencing has more information and background on the topic, and can be read here — but it’s only available behind a paywall to ‘Unlimited’ subscribers. *As an extra teaser, next week we'll be 'briefly' discussing SSENSE's new five-level Montreal flagship, scheduled to open in May.